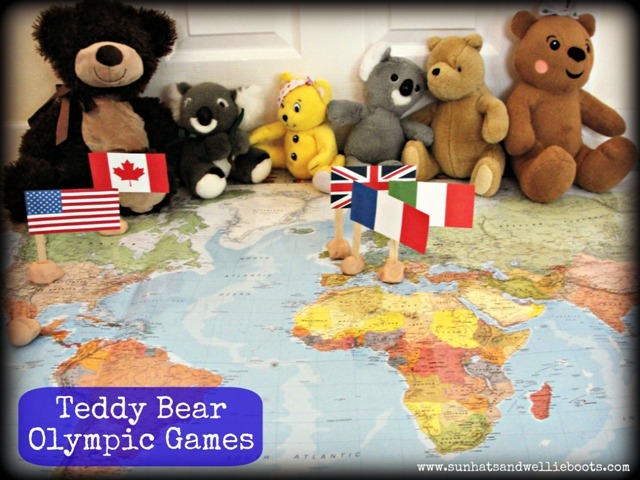 A little later than planned but here now... our Teddy Bear Olympic Games! 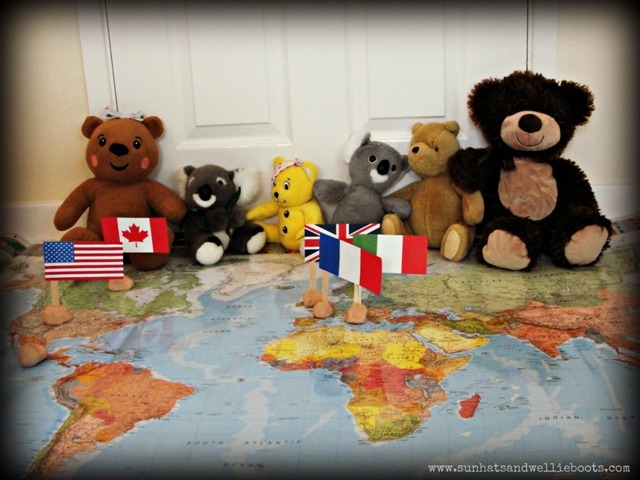 With the help of favourite bears we've been exploring the Olympic Games, & been discovering different countries across the globe, new sports, & an alternative way of exploring this historic sporting event! Today we're exploring some of the nations taking part in the Olympics. Recently Minnie has shown a real interest in maps, & this coupled together with her enthusiasm for this years Olympics, inspired us to put the following together. 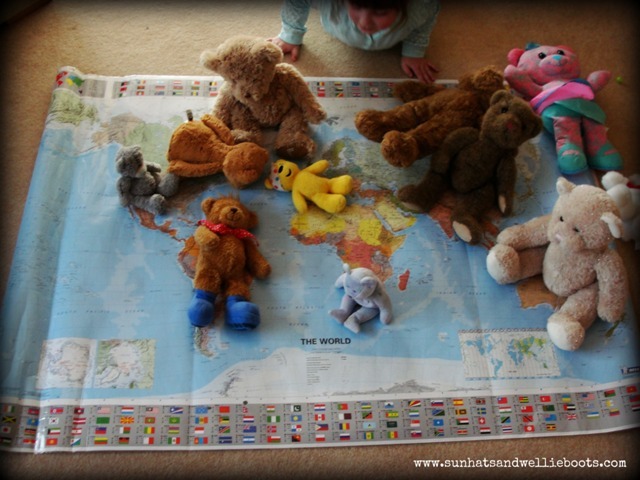 We set up a selection of bears on a large world map (we picked up this one from the Works for £2) & Minnie eagerly explored the different countries. 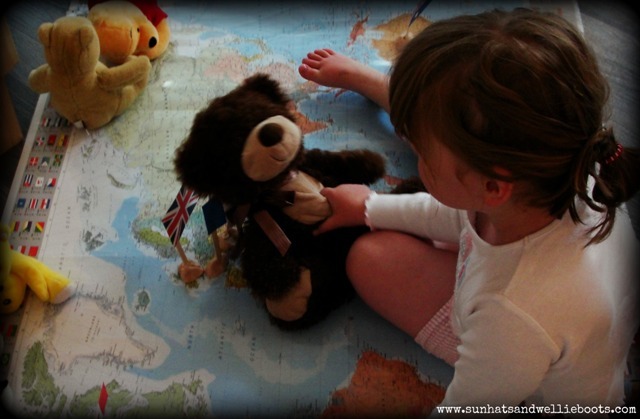 We have friends & relatives dotted around the world & she's always keen to find where they live first. 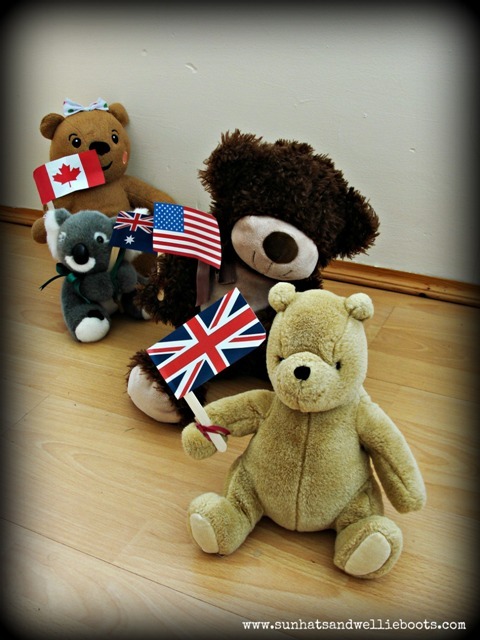 She soon had a bear siting on each of her chosen countries & it didn't take long before the bears started to visit each other "for their holidays!" As you can see, my little explorer was keen to visit places too! 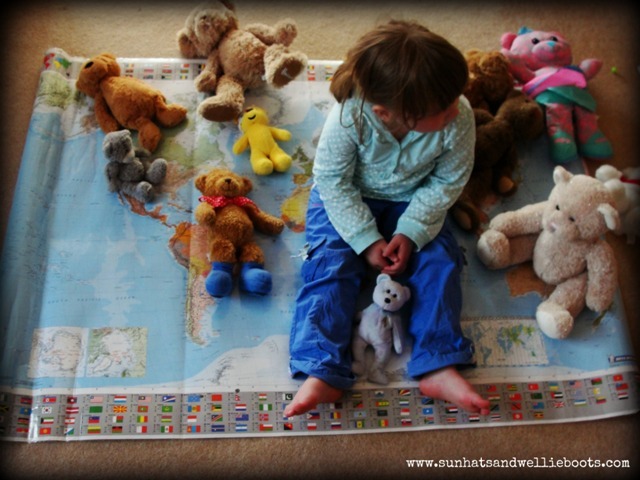 This playful way of exploring a world map enabled us to discover where different countries are & their proximity to each other. 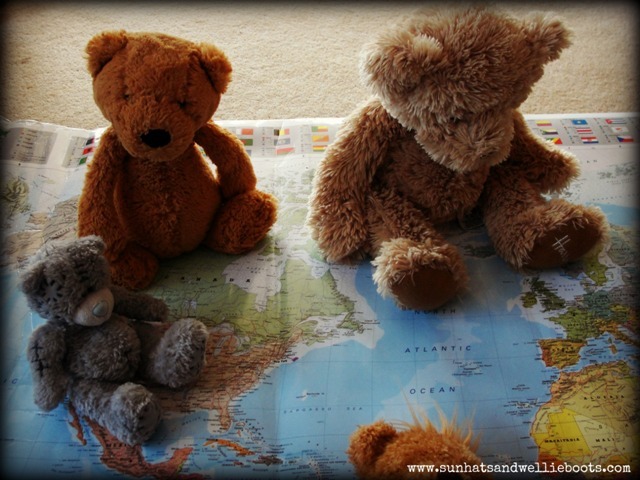 As the teddy bears 'travelled' we also considered which form of transport they might use, & if the countries were hot/cold/or had a similar climate to where we live. This was the first time Minnie had played with flags like this, & it amazed me just how quickly she was able to independently match the flags to the corrospnding counrties (something I hadn't considered she'd do). The flags also enabled us to explore patterns, design, shapes & colour, as well as spot the similarities between them. If you wished to explore the countries further how about tasting a traditional food or fruit, finding the national dress or the national anthem, or reading a traditional folktale that originates from that Country. We even had a torch bearer carrying the Olympic flame! 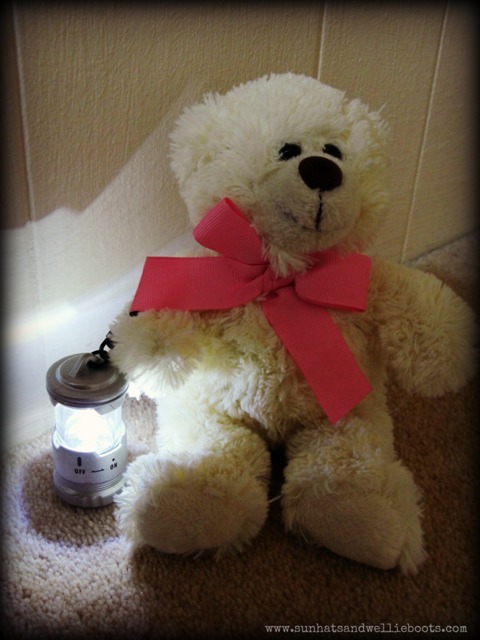 Check out our Teddy Bear Olympics (Part 2) for sports & activities, all of which are perfect for preschoolers, & our DIY Olympic torch & winners medals.